–Healthy frozen fruit pops for the kids this summer. –Always-on-hand ingredients for fruit smoothies, eliminating the need to add ice. 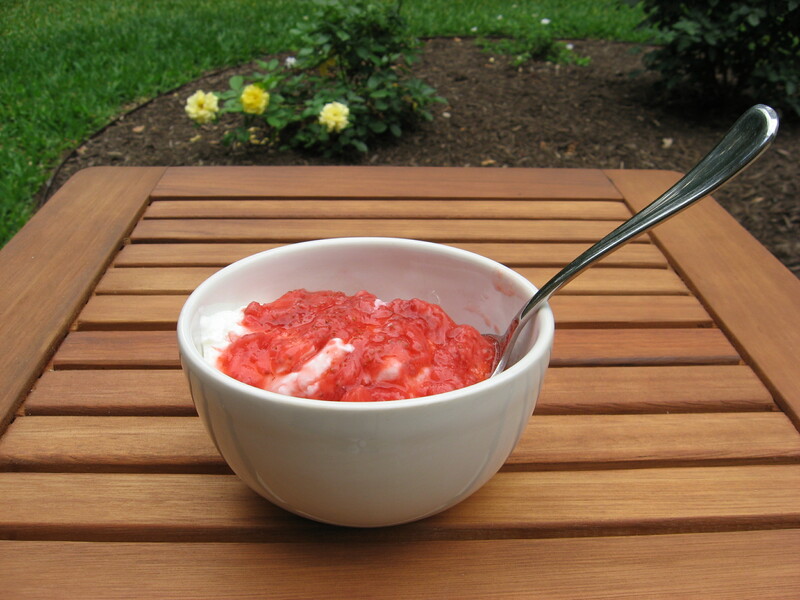 —Fruit topping for pancakes, french toast, waffles, ice cream, oatmeal, quinoa, and Greek yogurt. 1. Wash the fruit thoroughly and discard any pieces that are in really bad shape. 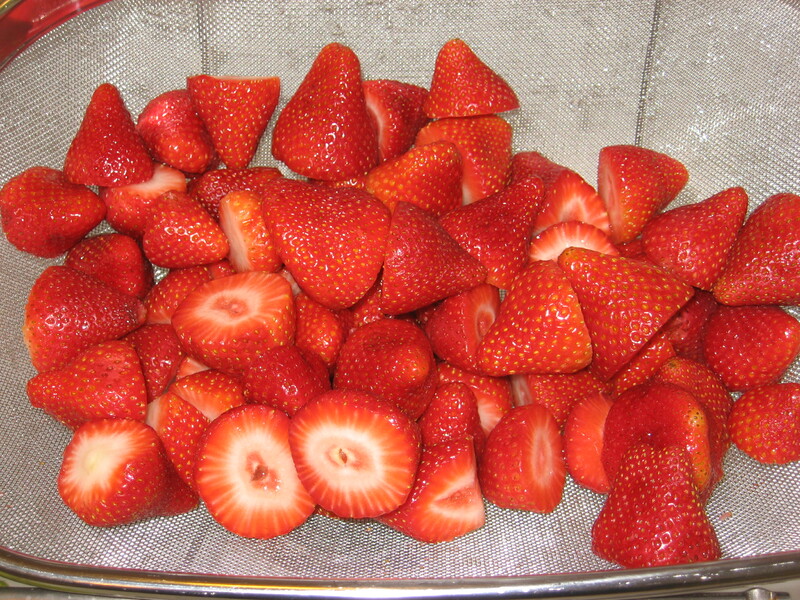 Leftover strawberries from a recent dinner party.